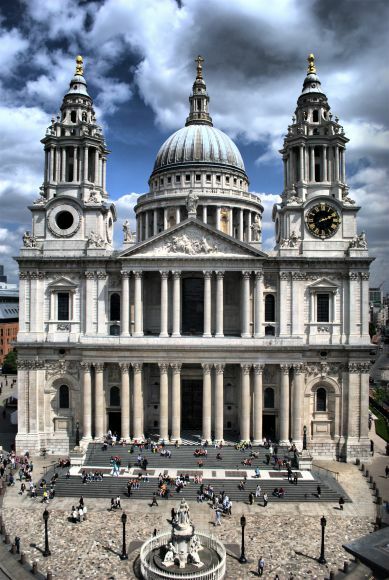 St Paul’s is not only an architectural masterpiece and its dome a landmark of the London skyline, but also a symbol of hope, strength and resilience of the city and nation it serves. A cathedral has stood here since 604AD with the present cathedral now over 300 years old. 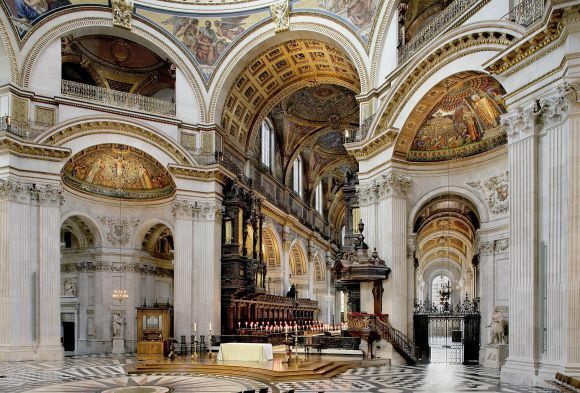 Enjoy the beautiful décor of the vast cathedral floor before climbing to the famous Whispering Gallery with its unique acoustics. 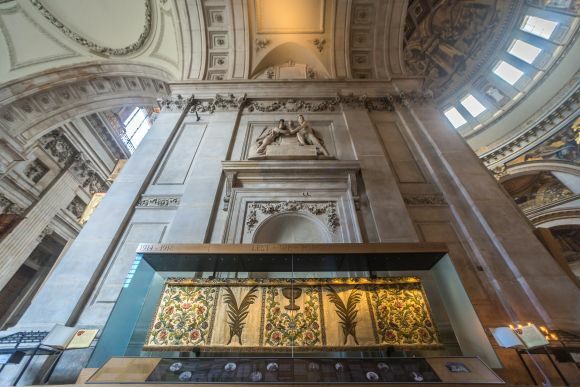 Continue to the Stone or Golden Galleries on top of the dome for breath-taking panoramic views across London. 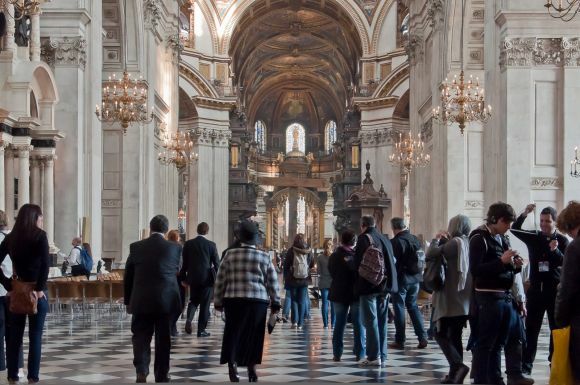 The crypt is the resting place for famous Britons such as Lord Admiral Nelson, the Duke of Wellington and the cathedral’s architect – Sir Christopher Wren. 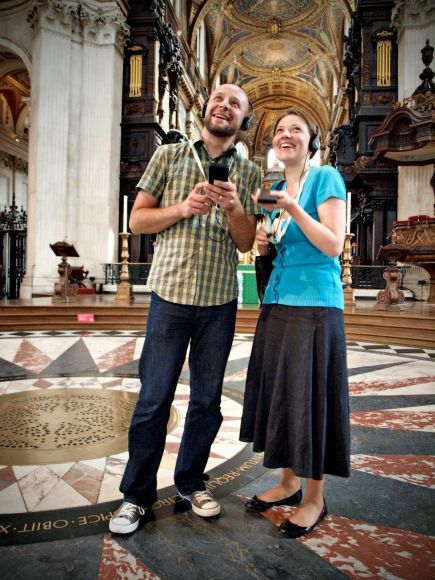 Visitors will also find the award winning 270° film experience, Oculus – an eye into St Paul’s. Explore using included multimedia guides available in nine languages or join into a guided tour or introductory talk, all at no extra cost. 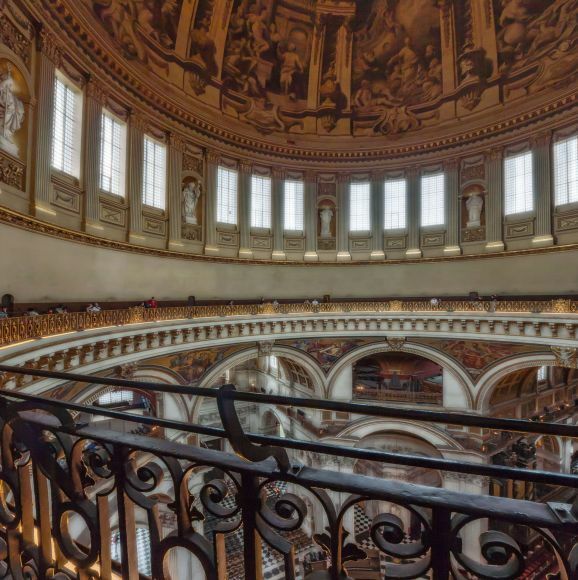 The Whispering Gallery is closed until further notice. Please note that the cathedral is not open for sightseeing on Sundays. The cathedral opens for sightseeing at 08.30 Monday to Saturday. Last admission to the cathedral is at 16.00. Once inside the cathedral, access to the Whispering, Stone and Golden Galleries is from 09.30 – 16.15. The cathedral closes for sightseeing at 16.30. The café, restaurant and shop close at 17.00. Child ages: 7-16. Children aged 6 and below are free Children must be accompanied by an adult (18yrs+) when visiting galleries. Please take your voucher/confirmation to the ticket office along with photo ID for entrance to St. Paul's Cathedral. The ticket allows access to the entire cathedral. Disabled Access: For wheelchair users there is a wheelchair accessible entrance for FIT’s and small groups in the South Churchyard. Staff are on hand to assist with entry and check in. Groups of wheelchair users can be admitted by a ramp in the North Churchyard Gardens which allows a quicker entry into the building. Use of this must be pre-booked with the Sales and Administration team to ensure that staff are on hand to open the doors. The Cathedral may from time to time close (at short notice) due to special services of worship. From Friday 2 August 2019 through to and including Saturday 31 August 2019 the Cathedral will remain open to visitors for an extra hour. Opening hours will therefore be 8.30am to 5.30pm (last admission 5pm) and last access to the Dome Galleries will be at 5.15pm.